Palma Sola Bay Club is surrounded by beautiful green spaces and wetlands. The west end of the property adjoins Palma Sola Bay. 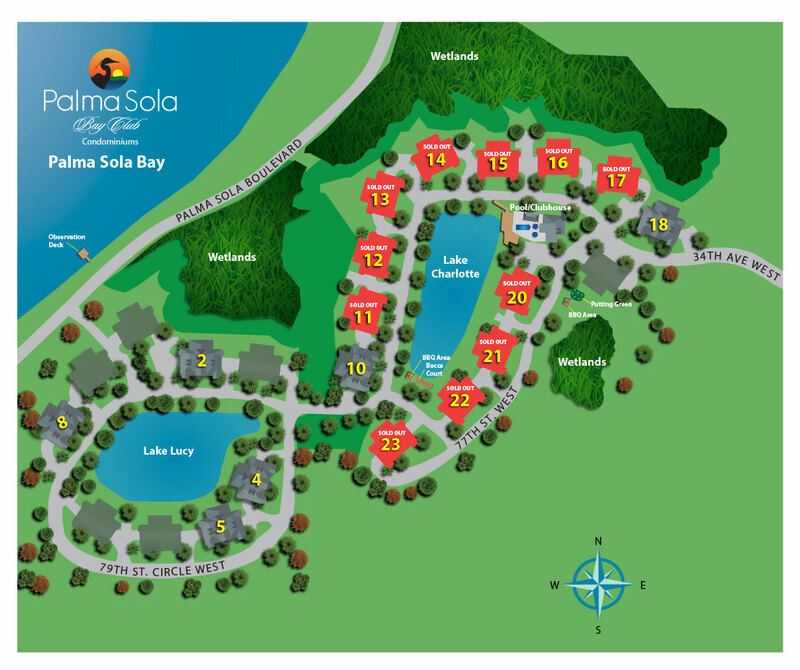 When completed, Palma Sola Bay Club will feature 23 buildings with 9 units in each building.